We take the everyday elements in life in a daze, most often lost in our own thoughts, wandering through the world oblivious to the poetry around us. I encourage my students to pay closer attention to their surroundings, to put aside their digital lives and thought-to-be-hectic schedules for a few moments a few times each day, to sit and compose with the ordinary. 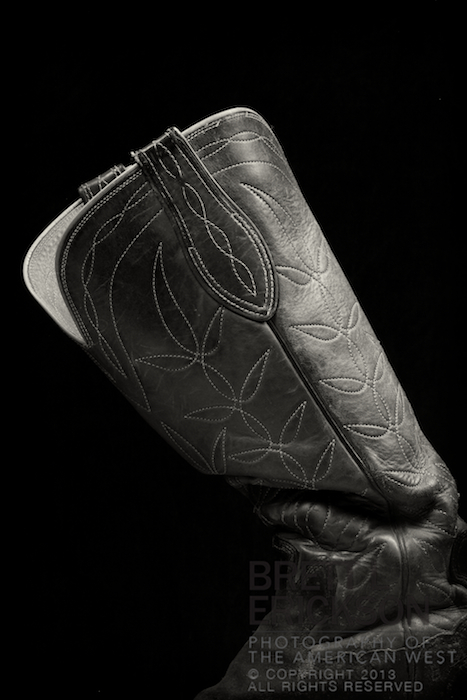 I tried to do just that with my boot series, and this is the ninth among those images. 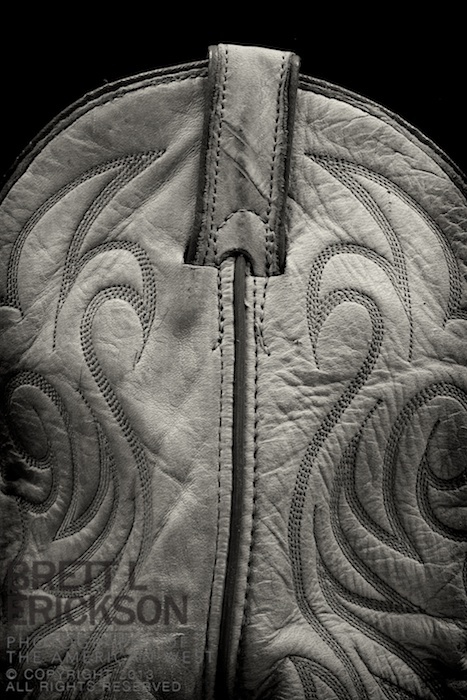 I’ve enjoyed working on my “Boots” series for some time, and here is a treatise on the formalist nature of the American cowboy boot. 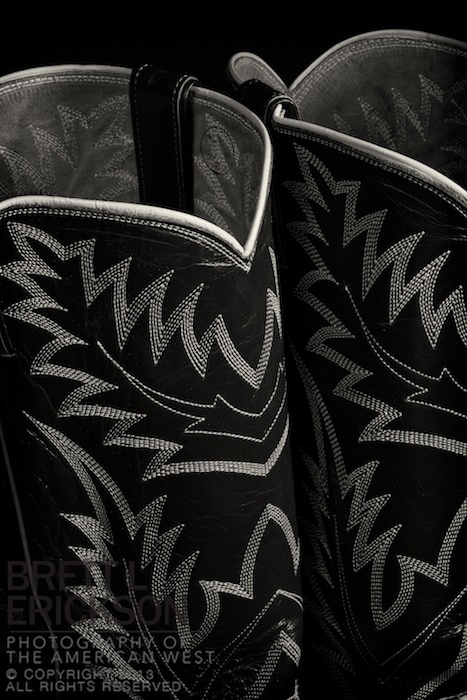 Boots are landscapes unto themselves, if only we take the time to look. About a week ago, another member on JPG Magazine commented on my “Dunes, Alamosa County” image: “Brett Weston?” Needless to say, I was honored to have someone make the connection (although I am smart enough to know I’m not even close to that unbelievable talent–just look at his work in the Brett Weston Archive), and it got me thinking about how to use density in different ways to add mystery. 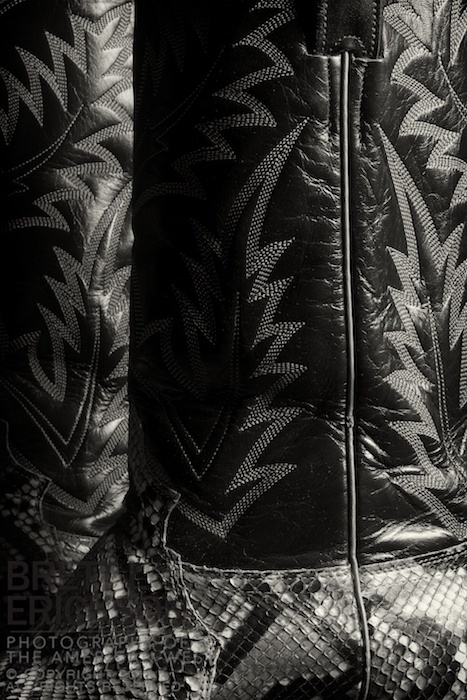 This shot of a pair of Tony Lama boots is one of those new explorations.